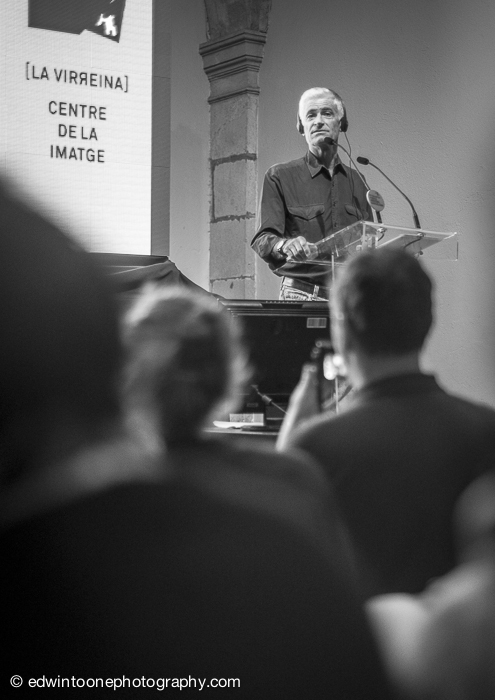 James Nachtwey, a great photojournalist and war photographer, spoke tonight at the Ojo de Pez Photo Meeting Barcelona 13. His presentation lasted around an hour and half with questions afterwards. Obviously, La Virreina Centre de la Imatge was full and for good reason. Nachtwey’s photos cut straight to the bone but his commentary really is what brings the story home. He has seen so much hardship and despair but he manages to stay focus on his goal and he can recognize that the work he does makes a difference.